Basil is rich in history, benefits, lore, and Magick. To refrain from keeping you here for days, I am only able to touch briefly on a few key aspects of this plant. Feel free to independently further your knowledge and research on this and the other Magickal components I feature here. Cultivated for over 5000 years, Basil has been the center of many stories, folklore, superstitions, and beliefs. 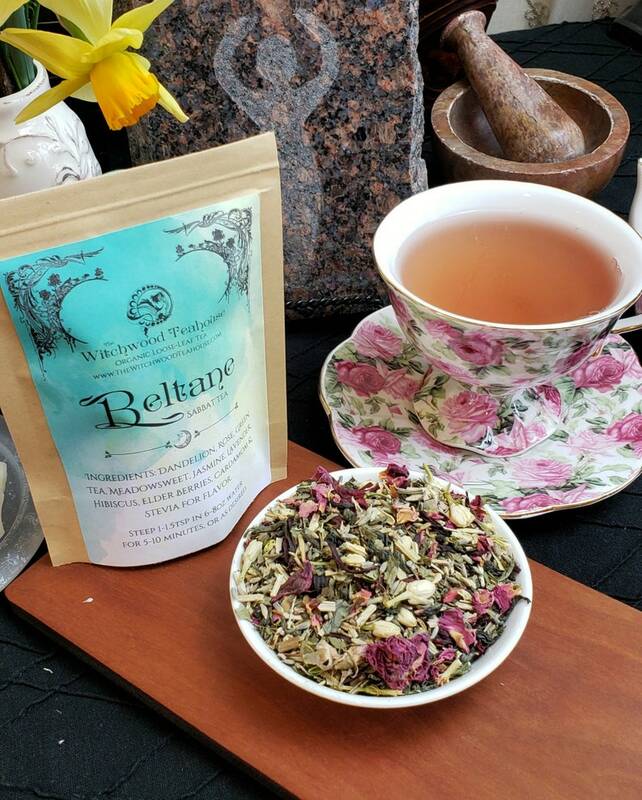 Native to India Basil is a half-hardy herb best known for it is culinary uses, and potent fragrance. Basil has MANY varieties such has Mint, Cinnamon, Lemon, Sweet, Thai; the list goes on and on. Europeans placed basil in the hand of the dead to ensure safe passage to the next plain of existence. It is said that Basil was growing at the base of Christ’s cross, while others believe it to be a symbol of Satan. Some cultures think basil gives strength while fasting, and some believe it protects against scorpions… While Egyptian and Grecian cultures believed it would open the gates of Heaven. It is believed that Basil must be given as an offering at Rongker, a springtime festival of merriment observed by the Karbis of Assam, to appease the deities and protect against evil spirits. Basil has strong ties to money, love, flying, and protection. It is said that if you lay a spring of basil in someone’s hand, you can tell if they are promiscuous or virtuous. If the spring withers immediately the person is promiscuous. 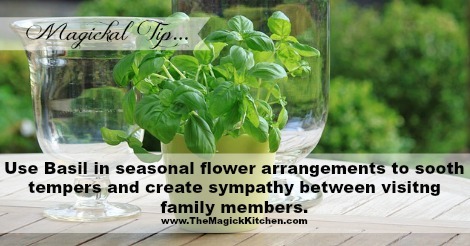 Basil is also said to bring lovers together and soothe tempers. It is used in a variety of love divination and love spells. Rubbing Basil on the skin is said to act as an instant “Love Perfume.” Oh la la!! Basil is also used to attract customers to a place of business, and money to your wallet… or for modern purposes, your bank account. It is sprinkled around the home for protection and said to be the juice of choice. Witches would drink fresh Basil juice before they would fly. Basil grown in a shop is said to reflect the health of the business. If the Basil is well cared for and grows, the business will also grow and profit. It is also said that when Basil is hung above a shop keeper’s door, it will attract good fortune to their place of business. Basil likes the heat and does not tolerate the cold well. It grows best in hot, dry conditions. Culinary Use: Soups, dips, baking, grills, salads, and MUCH MORE. Preserving: Basil can be chopped and frozen, canned in a sauce, or dried for later use. Storage: Fresh Basil will stay fresh in the refrigerator if placed in a glass of water. It can also be wrapped in a slightly damp paper towel and stored in the fridge. **Potential Health Warning: Basil contains a chemical called, estragole, which is known to cause liver cancer in laboratory mice. However, Basil is safe when used in average quantities for food and medicinal purposes. There is no current evidence that Basil causes cancer in humans. Perform this spell in the morning at Sunrise, at the time of the waxing moon. Your bank account information (the number written on paper or statement will do), and your wallet. If you are a business owner, you may also use a stack of your business cards. I bring the heat of movement to my hands. I call to upon the power of the sun and stars. Money, swiftly come to me. Gather your supplies and ingredients and bring them to your altar/sacred space. Preferably outside. Arrange your items on your table/altar as you see fit, surrounding them with 4 candles and the 5th candle somewhere in the center of the table. Your bank statement & wallet should be placed in the center of the table with the fifth candle. Place the ground cinnamon stick and dry basil, and one fresh Basil leaf in the oil. Move clockwise, light your candles and address the 4 directions and elements ending with center/spirit and your fifth candle. Anoint your 3rd eye with the oil and begin your chant. As you chant, hold your hands over the items on your altar/table and visualize money coming to you as the sun cycles in the sky. When you have finished with the 9th repetition, sprinkle some of the oil on your bank statement and place a fresh Basil leaf inside of your wallet where it will not be easily disturbed. If you are using a stack of business cards, sandwich your cards in between several large basil leaves. Finally, clean everything up and completely forget about your working. Don’t reflect on it, analyze it, and do not critique it. Let the energy go and let it be. 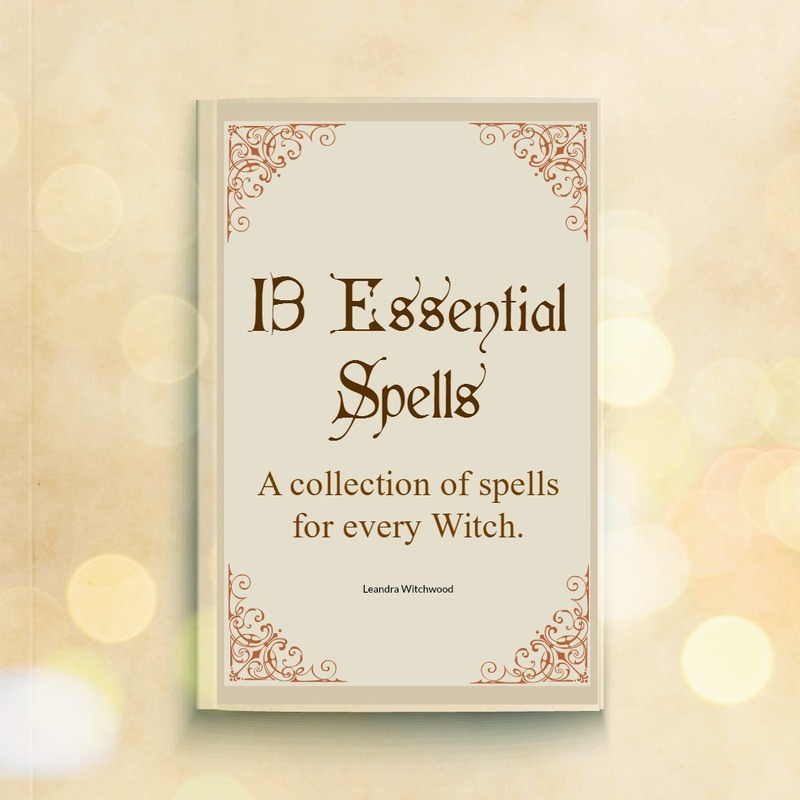 **Spell work Disclaimer and Warning – If you are new to the craft or rusty, please education yourself before you begin working with energy and spells. If you are unsure of what I mean in any part of this spell you need to educate yourself a little further. One should not dabble in or “play” with Magick or the energies within if one does not fully appreciate or understand the energies at work. Energy is not a game and if you are not clear and if you are serious, the energy will reflect to you, your state of mind, your attitude, and your dedication. I recommend you educate yourself on having the right state of mind during Magickal workings. There are plenty of books, articles, and blogs on this subject. You may also read my 10 Tips for Successful Spell Work post for additional information. Never miss a recipe, spell or post! 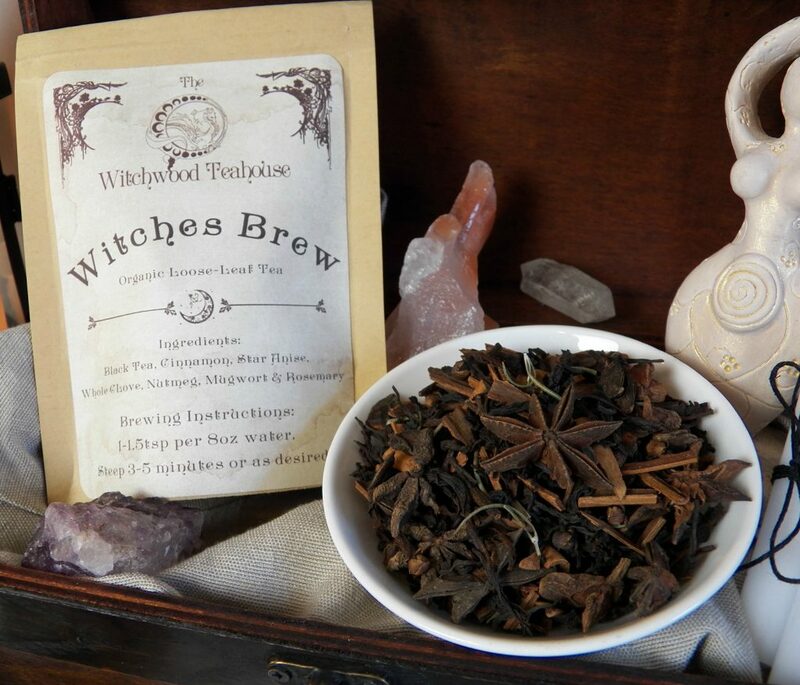 Stay connected to The Magick Kitchen when you sign up for our newsletter. Your information will not be shared or sold to a 3rd party. I just want good food and to live a Magickal life! Is that so much to ask? Through persistence, I found the honest answer… I can have both! I realize that I could forge my own path using the skills and knowledge I gained, and the simplest of techniques. I love food and everything that goes with it. I have spent more than 35 years in the kitchen, enjoying every minute. Okay… well, enjoying almost every minute of it. In addition, I have disbursed nearly as many years studying Wicca, Witchcraft, and Paganism. Combining these two interests has created a Magickal path where I combine food and spirituality. To my delight they play brilliantly together. My love of whole healthy foods, and unique recipes has also lead me to help run a local teen cooking program, where I teach kids valuable life skills in the kitchen. In addition, I teach a variety of cooking classes for adults and covens on subjects ranging from making the time spent in the kitchen more enjoyable, to cooking together as a group, and recipe-spell creation. It only made sense that I would begin writing and sharing my experience. From this, The Magick Kitchen was born. My journey with you is about developing a spiritual experience with food, far beyond the dull habit of consumption. We have a marvelous opportunity here to take a most mundane task and make it Magickal! The Magick Kitchen is about connecting to Divinity through food and the ritual of preparing and sharing food. It is about developing a sacred balance between nourishment, ritual, and spirit. Food has the power to heal, sooth, and bring us together as friends, families, and community. I am so glad you joined me! Sharing knowledge, experience, and personal perspective with you is an honor. Thank you! 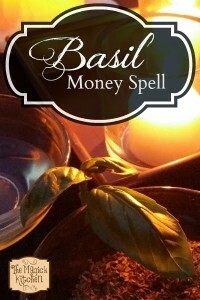 I Need More Educatn On Basil Money Spells.Also How Do I Get Cinamon Sticks.Any Substitute? I recommend finding a teacher who is willing to teach you. You can also begin educating yourself by researching the information you seek. It will take time and effort but that is what magick requires. Show your support by donating today. Never miss a Post, Recipe or Spell! Never miss a post, recipe or spell.